University of the Pacific takes pride in offering small class sizes, an engaged faculty, and real-life research and experiential opportunities to undergraduates who are ready to enter the workforce upon graduation. Pacific is a nationally ranked university with a long tradition of dedicated teaching, small class sizes, practical experience and vibrant residential life. The breathtaking main campus in Stockton, California is home to seven schools and colleges, with more than 80 majors and programs of undergraduate study. Learn more about the Geological and Environmental Sciences department at University of the Pacific. Our students explore the origin of the Earth and solar system, the formation of continents and oceans, the evolution and extinction of life, the distribution and availability of natural resources, and the impact of humans on the environment. At University of The Pacific, Media X is a program positioned at the crossroads of art, technology and design. Students will enjoy guaranteed internships and access to a network of successful alumni and industry experts and other career-related services. McGeorge School of Law is the only law school in the nation to offer two distinctive professional degrees, the Master of Public Policy (M.P.P.) and the Master of Public Administration (M.P.A.). These programs join knowledge of law, competencies in analyses, and skills in action. Apply and learn more at http://go.mcgeorge.edu/publicpolicy. Learn more about University of the Pacific's Food Studies program which is the only comprehensive Food Studies program on the West Coast. 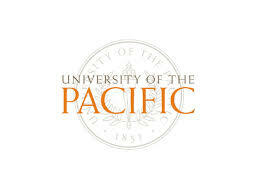 The program is offered at Pacific's new state-of-the-art campus in the SoMa (South of Market) district of San Francisco. Go to pacific.edu/foodstudies for more information. Learn about our San Francisco Campus! Take a look at these tips from a #UOPacific #cybersecurity expert on how to avoid being a victim of #cybercrime. 3520 W. Stagg Way (Main Gym).